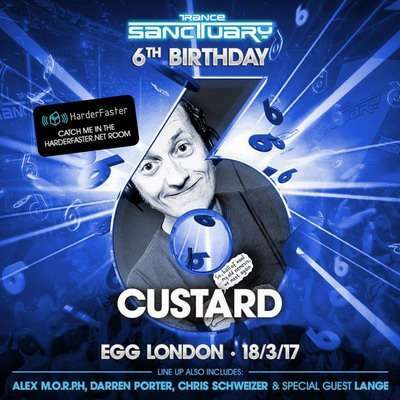 HF / Features - Fancy a bit of Custard at Trance Sanctuary's 6th Birthday? 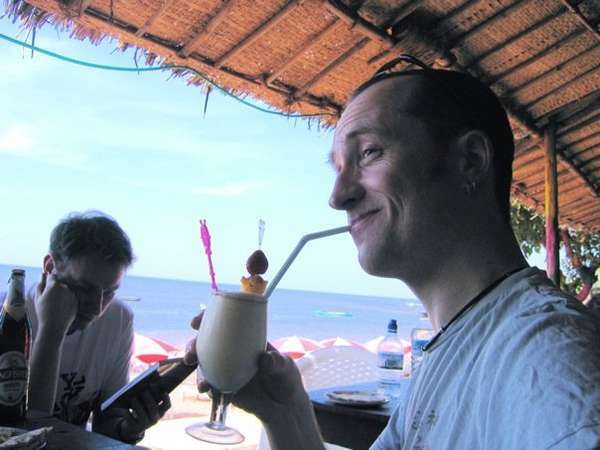 It was a pleasure to catch up with Paul 'Custard' Mayes again, before we share the same stage in the HarderFaster 140+ Room at Trance Sanctuary’s 6th birthday on March 18th, and I dug through the skin of this creamy dessert to find out what makes him beat. Hello Paul, how’s it going? Not bad mate, thanks for the nice introduction, very excited about DJing in the HarderFaster 140+ Room at Trance Sanctuary's 6th birthday party! I first heard your productions back in 2012 with State Of Wonder on Discover. How do you feel your productions have developed since then? We definitely had a bit of a purple patch back in 2012. At the time the general consensus was trance was struggling with its identity due to the influx of EDM and electro house influences. So we (Nexus 3) decided to interject with some proper uplifting trance brought up-to-date with modern production by writing 'State of Wonder' and 'Last Flight' (our wistfully uplifting tribute to the Space Shuttle's final mission). The support we got was amazing and in a sudden whirlwind we found ourselves signed up to Discover Records with great support from the likes of Activa, SlyOne vs Jurrane and Lee Miller, and a very unexpected feature of 'Last Flight' on Paul Oakenfold's Perfecto podcast! Since then it's been pleasing to see trance back on track to its uplifting roots. We learnt a hell of a lot with this experience, both in our production skill-set and our understanding that enjoying what we are producing is more important to us than sticking to one style of music by forcing ourselves to deliver trance by numbers or whatever the current trend. We have the attention span of a gnat and to answer your question we've expanded into playing whatever genres float our boat, from psytrance to drum and bass; basically, whatever it takes to keep us excited about getting in the studio. Playing with different genres keeps you fresh and there's always something to learn from one that you can apply to another. You produce across a lot of genres; can you talk us through your aliases? All my productions are co-produced with Ben Randles-Dunkley (aka Tequila Slammer and Subteq) and Dan Stopani (Magic Beans Records and Subteq). We've found that collaborating together covers all the strengths required to produce and actually finish our tracks. First off you know about 'Nexus 3' where we predominantly produce uplifting trance, under this alias we've also explored melding the classic uplifting sound with a bit of psy influence. Then there's 'Subteq' which is our drum and bass outfit where my main role is to play drums instead of programming them. Basically, I dive in the studio, spend a day laying down grooves to whatever ideas we have been bandying around and then Dan and Ben do the rest. Ben's the DJing face of Subteq. Finally, there's 'The Payoff Brothers' where Ben and I make bootlegs of whatever takes our fancy to play in our DJ sets. Regardless of genre, if a tune is out of date production-wise or feels unfinished or is (in our opinion) in need of a refresh, we'll have a go at revamping it. For example, there was an electro house remix of Children that didn't have the main hook or piano in it so we finished it for them in our own way. My favourite though is our psy trance bootleg of classic hard house banger Cortina - Music is Moving, yes we managed to make it psy at the same time as keeping the fun of the original tune, you'll probably get to hear this one at Trance Sanctuary on March 18th. How is the drumming going? Is it true you can tell if a drummer is at the door as the knocking speeds up? Lol, and you can tell if the drum riser is level if they're dribbling out of both sides of the mouth! Drumming's going well, thanks. As well as working in the studio with Subteq I'm currently playing the drums for the Muse tribute band ‘Musek’. With this project, there's a lot of synth backing tracks so I get to use my production skills too, along with a lot of help from Dan. We bounce them all down and I load them onto a Roland SPD-X sample pad and control it from behind the drum kit. 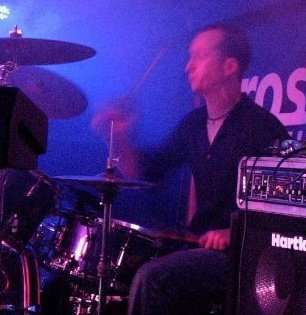 My musical roots are in drumming, before I got into DJing and production I was stomping the floor boards behind my drum kit in the whirlwind days of the 90s Camden indie scene. It was a pretty special era for indie music and the band I was in played on the same bills as some big names today like Feeder and Stereophonics well before they hit the big time. Hell, we almost supported Oasis, but that's a story for another time! How’s your DJ diary looking this year? I'm really looking forward to DJing at Trance Sanctuary in March, otherwise it's mostly taken up with drumming stuff this year. I have my fingers in so many pies it's easy to lose focus of any one thing so I try (rather unsuccessfully) to stick at one project at a time. The last 7 years my diary has been heavily taken up with planning and organising music for 'Chilled In A Field' festival, we're having a fallow year so I'm enjoying a relatively quiet one with a few gigs with the band and the odd quality DJ gig! You played a cracking set at the HarderFaster Christmas Party back-to-back with Pique. How was the event for you? Thank you! I had a fantastic time, everyone was so up-for-it and Pique is a nice fella and a great DJ. It was a privilege to play b2b with him. We hadn't met in the flesh before and literally shook hands for the first time 10 minutes before we started our set. It needn't have mattered, we tore the roof off, lol. The party was a lot of fun, so many great DJs under one roof and so many classic tunes - just like a HarderFaster Christmas party should be! What are your top memories from parties past? Do you have a favourite party that you’d go back to in time if you had a choice? Oh crikey there's been quite a few over the years. 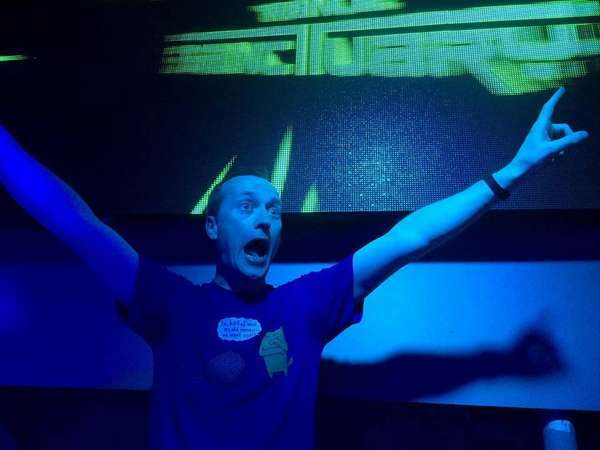 Top DJing memory had to be my closing 'Strawberry Custard' Classics set at Planet Angel where I smashed together uplifting trance, hard house and psy all into a 90-minute euphoric frenzy at Hidden in 2008. Everyone was so up for it we virtually had to scrape them off the ceiling with a giant spatula. One of the funniest gigs had to be at another Planet Angel when someone dancing on a podium managed to burst a weather balloon with a cigarette that was hanging over the decks for the projections. The room was havin' it, one minute I was mid mix (between something like Twilight MORPH remix and Dreamland 2005) then the next minute there was a loud bang and crashing sound and a huge piece of white rubber wobbling around on my record where the needle should've been. Without thinking I pulled it over my head like a swimming hat and fired it off into the packed room and put the needle right back right where it had left off to a roaring oi oiiiiiiiii from the crowd! You couldn't make it up! The most memorable events I've ever been to where I wasn't DJing has to be Gatecrasher at the Republic in Sheffield late 90s early 2000. With my posse back then we used to make a quarterly pilgrimage to the flouro trance mecca... it's also how I met my lovely wife Elaine. The Trance scene has changed a lot in the last 10 years. What is your take on this and where do you see it going in the future? The scene is definitely more underground than it was 10 years ago, especially in London but it does appear to be having a bit of a renaissance at the moment. I think all the parties at the 414 in Brixton and Trance Sanctuary have been instrumental in that. TS packing out the Egg every time is no mean feat especially for a genre that 5-6 years ago felt like it was on the edge of extinction. Musically it seems pretty settled in its ways to me, it often goes off in the direction of whatever house or techno trend there is at the time but thankfully always seems to find its way back to its uplifting roots. What always amazes me is how producers keep it fresh when predominantly the formula is intro, build, breakdown, drop, outro! It defies logic, but as far as I'm concerned, I'm relieved the genre is still alive and kicking - not bad for a style of music that's been going for 25 years! (I guess you could say the same about house and techno in general) A lot of people may not agree with me, but the difference I notice each time trance progresses are the more advanced production techniques that comes from modern production technology, and a slight adjustment in its core sound which keep the best bits of whatever direction it's just come back from. To be honest though, my trance heart's stuck between its inception in the early 90s and 2005. Thanks to social media, promotion has become easier than ever; where should readers go to follow what’s happening in your music and DJing? The Line up for Trance Sanctuary’s birthday is pretty impressive, who do you most want to see play? Problem is it's such a good line up, I want to see everyone, so you'll catch me running from room to room! Seriously though, aside from all the awesome DJs playing in the HarderFaster 140+ room it's got to be Alex M.O.R.P.H. - he's consistently been one of my trance heroes. Also, Mark Landragin is not to be missed - I always enjoy his sets and he’s someone I've supported since his really early days of playing at Planet Angel, long before Trance Sanctuary was even born. He's a great example of enthusiasm and dedication and a thoroughly nice chap to boot. Tell us about your first club/rave experience? Were you hooked instantly or did your attraction develop over time? I was a slow burner, when I was a teenager I was torn between rock and rave. Back in the 80s music was still quite tribal, unlike these days where it's relatively acceptable to be into everything, and at the age of 16 I got drawn away from my 'Now Dance 1986' album into the world of Rock and Heavy Metal. My first club experience was early 90s when I started going to Heavenly Social every other week to catch the resident Chemical Brothers, they made sense to me at the time as they transcend genres and appealed to my rock influences. My first proper "experience" though was at the now legendary Strawberry Sundae party at Cloud 9 around 1995/6. I went to help set up the lasers with my sister (already a confirmed raver) and her ex partner who used to run a laser company. The laser had a fault where it would slip to an angle and my job was to stand in the middle of the room and report back when it slipped... They literally had to drag me kicking and screaming off the dance floor, I was hooked and I knew this was going to be my next big music thing. It wasn't long before I started building a small studio set up with my first synth, an EMU Xtreme-Lead and an old grey G3 mac tower. The DJing came a few years later. How did you get your first gig, and thinking back to that set - what do you feel you got right and what do you feel you got wrong? Well my first 'gig' was NYE 2001 my sister was renovating her house so we decided to have a big party. There was no ceiling in the living room so we pulled some floor boards up and shone the laser down from upstairs and set up a 2k rig, like you do. We wanted a trance DJ, everyone we knew played house and techno so I decided two weeks beforehand to get a pair of Technics. I'd had a go a few weeks before on a mate’s system and found that I could beat match, my drumming experience definitely helped. So I bought a bunch of my favourite tunes, enough to play for two hours and practiced for a fortnight, people didn't see much of me that Christmas! I held my own, actually it bloody rocked! Well it can't have been that bad as the same people at that party are still my die-hard fans! The main thing I did learn was to check the crossfader is centred or turned off when the DJ before you hands-over... Remember that if you use the sliders and not the crossfader you look a right plonker rocking out in your headphones on your first tune with nothing coming out the PA system. Who and what would you say are your most recent inspirations? I'm currently really digging French melodic techno at the moment, artists like Worakls, N'to, Joachim Pastor and Joris Delacroix there's some pretty awesome uplifting stuff going on there that harks back to the early days of mid 90s progressive house and trance but with that extra twist of wonky detuned techno. But I always come back round to all my old favourite 90s and early 00s classic trance and hard house, I just love that era of dance music, it was all about the hook and the melody and how much it could make people bounce or hug. What advice do you wish you’d been told and heeded in the past? Music or non-music related. That's a tough question. I guess I wish I'd been told to swallow my pride when I was younger. There are a few opportunities where if I'd compromised a bit I probably would have got further in my drumming career but then I learnt from that. Whatever decisions you make whether right or wrong there's always something to learn. What CD do you have on in the car at the moment? Currently Muse because I have their entire back catalogue to learn! When I fancy a break though I'm quite enjoying the aforementioned lush French techno. Tell us an interesting fact we won’t know about you? 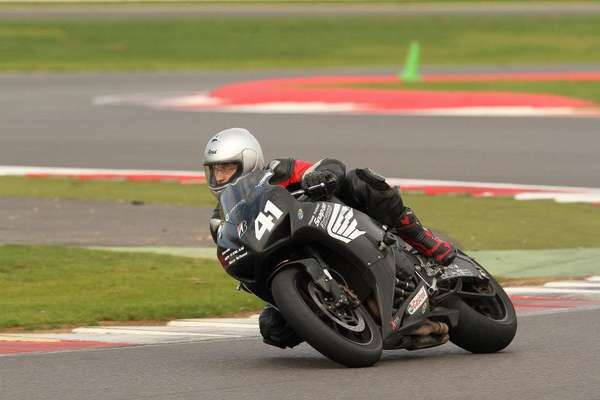 I used to race motorbikes and once rode in the same race as Casey Stoner two times MotoGP world champ. He was soooo fast, to say the least! What’s the most shocking thing you have done which your friends might consider out of character? If you had the time to take up a hobby, what would it be and why? I've had so many, lol. I'm well into motorbikes, I used to race and I'm 90% of the way through building a custom project with my dad. If I had the extra time I'd love to do blacksmithing, I love working with my hands and went on a course last year, I'm hooked and would love to do more. Thanks Paul, we’re looking forward to seeing you at Trance Sanctuary on March 18th, details below. Images courtesy of Custard, Trance Sanctuary and HarderFaster. Not to be reproduced without permission. 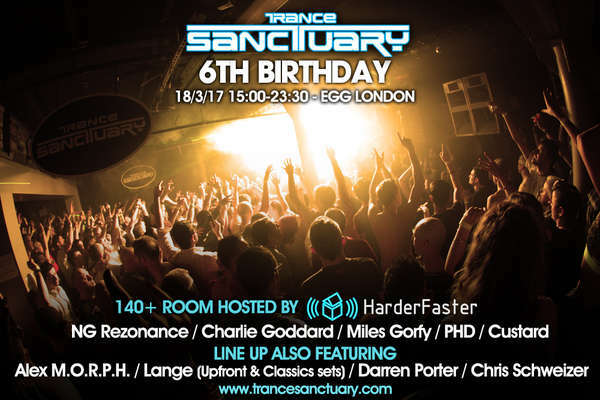 More: Trance Sanctuary celebrate their 6th Birthday with 4 rooms at Egg London with Uplifting, Tech, Progressive and Hard Trance! German Alex M.O.R.P.H. brings his 'Not All Superheroes Wear Capes' Album Tour to London. 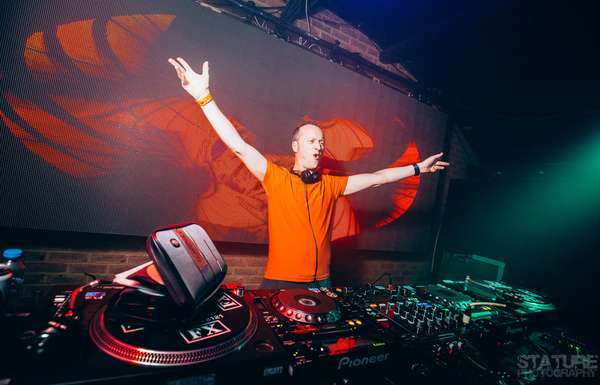 Highly rated Darren Porter makes his Trance Sanctuary debut as does Argentinian Tech Trance rising star Chris Schweizer who will play for the first time in London. 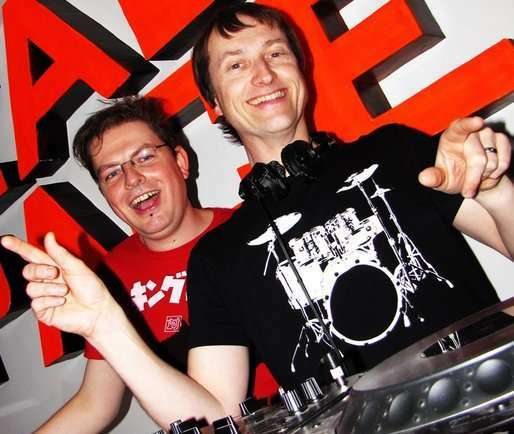 Our Special Guest is one of the UK's biggest Trance DJ/Producers Lange who will play 2 sets, upfront and classics. Harderfaster.net help us to celebrate our birthday by taking over the Basement with the UK's finest Hard Trance DJ/Producer NG Rezonance, Storm Resident and the newest shining star on the Hard Dance scene Charlie Goddard as well as Miles Gorfy, PHD & Custard. Music: Trance. Acid Trance. Hard Trance. Tech Trance. Prog House.